One of the greatest things about the world of open is how much people are willing to share and what amazing things happen when they do. One really easy way to share with others is to open license your photos. 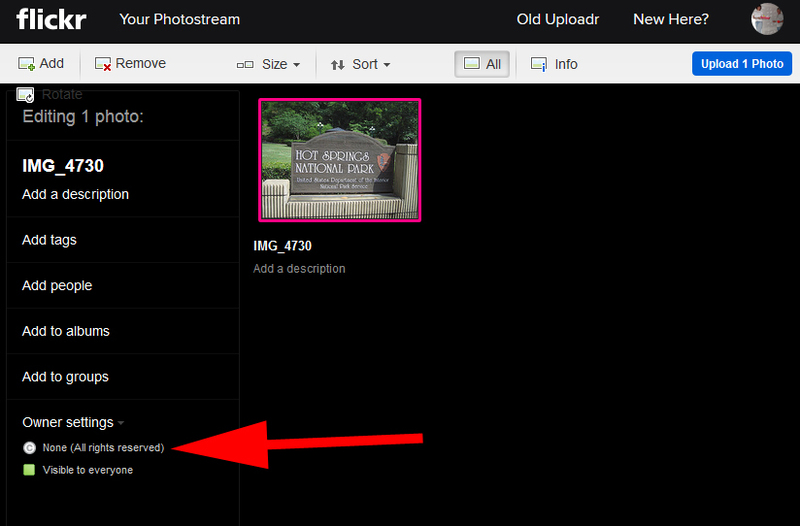 And one platform that makes this easy is Flickr. 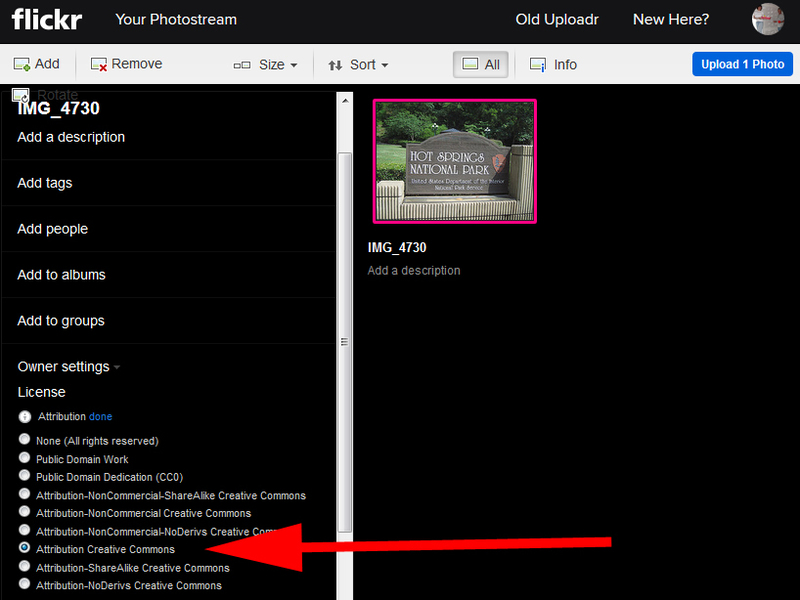 On the upload screen, highlight the photo(s) and on the left under Owner settings and License, select the Creative Commons license you’d like to use. Make any other changes to your photo such as tagging it or giving a name or description. Want to change your default user settings so all your photo uploads are licensed openly (unless you indicate otherwise)? Click on your profile picture in the upper-right hand corner and select Settings. Click the Privacy & Permissions tab. Scroll down to Defaults for new uploads, and What license will your content have. Click edit. Select your desired default license and click Set Default License. 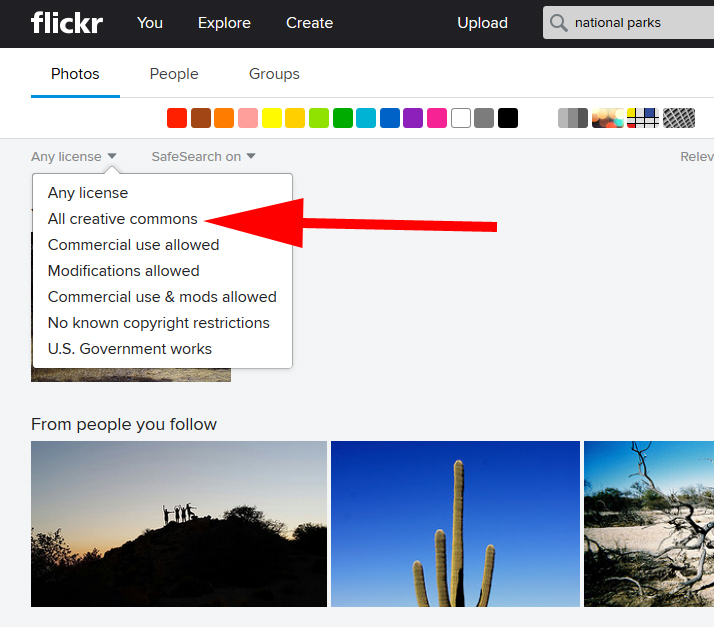 Want to search for other open licensed photos that you can use in your work? 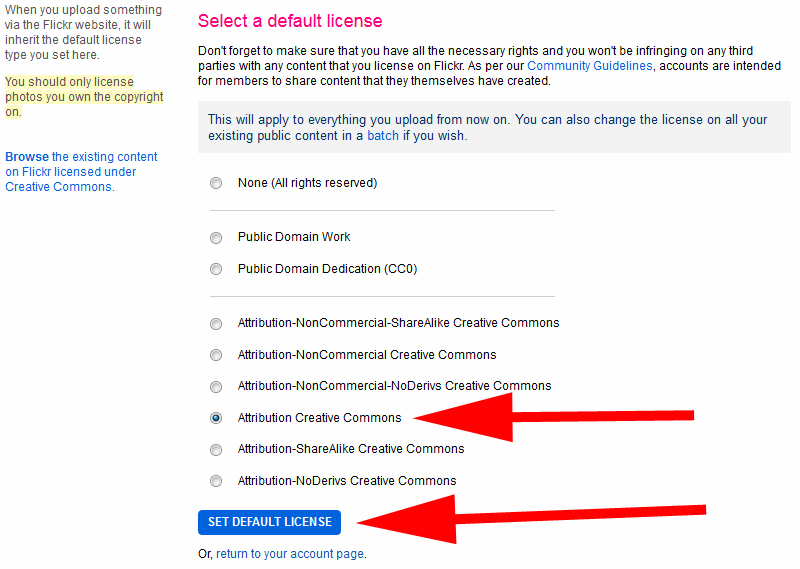 When the search results appear, change the Any license selector to All Creative Commons. Thanks for sharing and making the world a more open, more amazing place. And if you have any questions at all, post them here or message me. I just went in to double check my own settings and made some adjustments. This is a great tutorial. Wait — is this in the Make Bank?